All foreign nationals and non-resident Indians are required to present their passport with visa at check-in. All Indian nationals must present a government-issued photo identity card with an address. 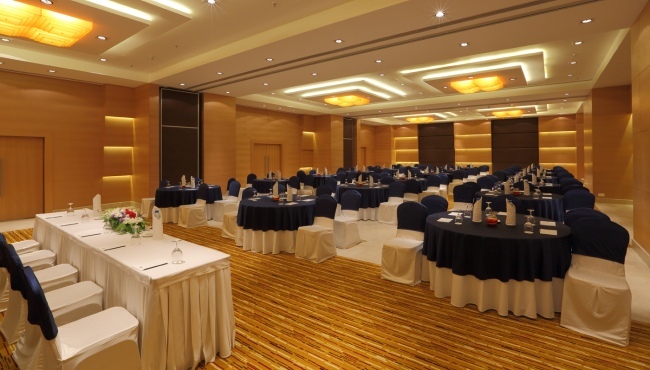 Pledge your love to one another in the stunning elegance of our 297-square-metre ballroom at the Country Inn & Suites in Mysore. 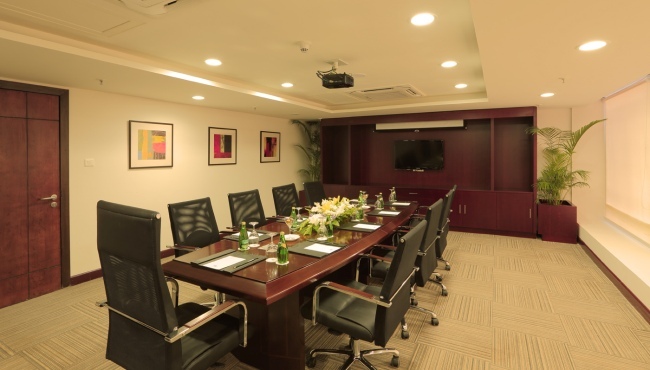 The space accommodates up to 320 guests and provides plenty of audiovisual options. After the ceremony, invite all of your attendees to our outdoor lawn for a delightful reception. If you aren’t sure how to start planning, our expert wedding advisers are available to give you a facility tour and talk you through the process. Complete and return our wedding inquiries form today! We can help you plan your big day down to the last detail. Our expert team of wedding planning professionals are on hand to ensure every personalised detail is executed beautifully. From reserving the dates and working on a theme to arranging the place settings on the table, leave it all to us. 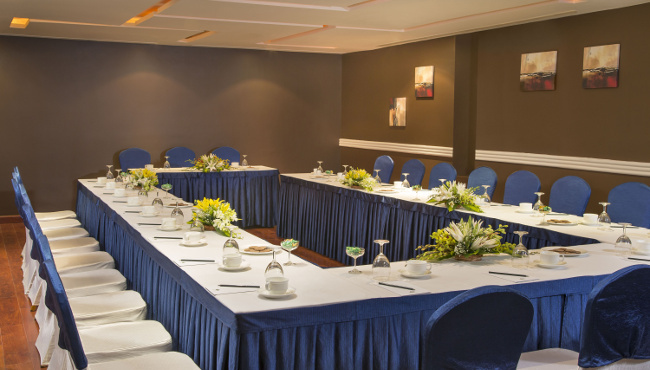 We offer peerless space, flawless settings and contemporary décor. With stylish surroundings and rich colours that span the spectrum, our ballroom offers an unrivalled ambiance to celebrate the most important day of your life. 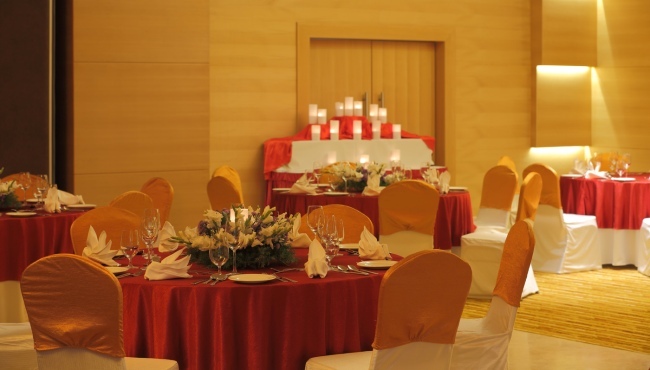 You may also utilise our modern pre-function room, corridors and lobby for a well-rounded event. Our catering services allow you to treat your guests to a meal they will cherish long after your event has ended. Our wedding specialists and expert chefs work with you to create a customised menu that reflects your taste. Choose from cuisines like Indian, Italian, Lebanese, Mediterranean, Spanish, Thai and more. We also offer interactive buffets with live cooking, where guests can choose dishes based on their individual dietary requirements. Options include a Mexican tortilla bar, Turkish shawarma, Italian ravioli, Asian dim sum, Spanish paella bar, Thai curry station, Tawa taka tin and Lebanese mezze bar. Feel your best and be free from stress on your big day. As you get ready for the event, our spa artists can help you achieve the look you desire. As a bonus, you can also ask for our special spa packages, including one that’s specially designed for the happy couple.